Hum! Jangle! Shake! Band-in-a-Box was originally called Beginner's Band in a Box. Ages 3+ will be delighted by this beginner band set. 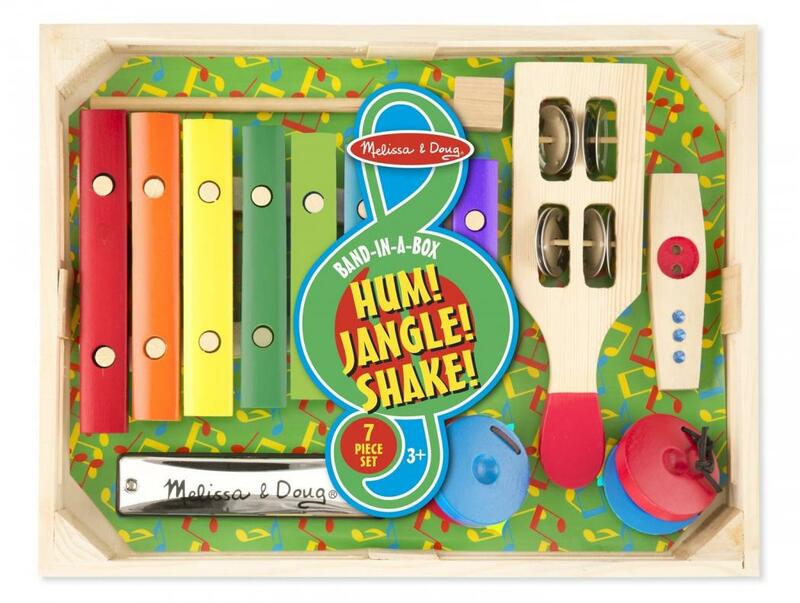 It includes a xylophone, kazoo, hamonica, jingle stickand finger castenets. Its wooden crate now measures 14.5" x 11" x 1.75" It includes 7 pieces counting the mallet. Hum the kazoo, Jangle the Xylophone and shake the Jingle Stick. Tha's goinf to be a lot of fun for your youngster!